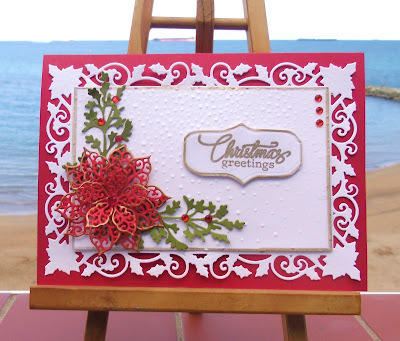 A very festive and elegant card design Sylvie. Hope you're enjoying your time in the UK. Wow this is so striking and very classic...love that red and white and your lovely flowers. 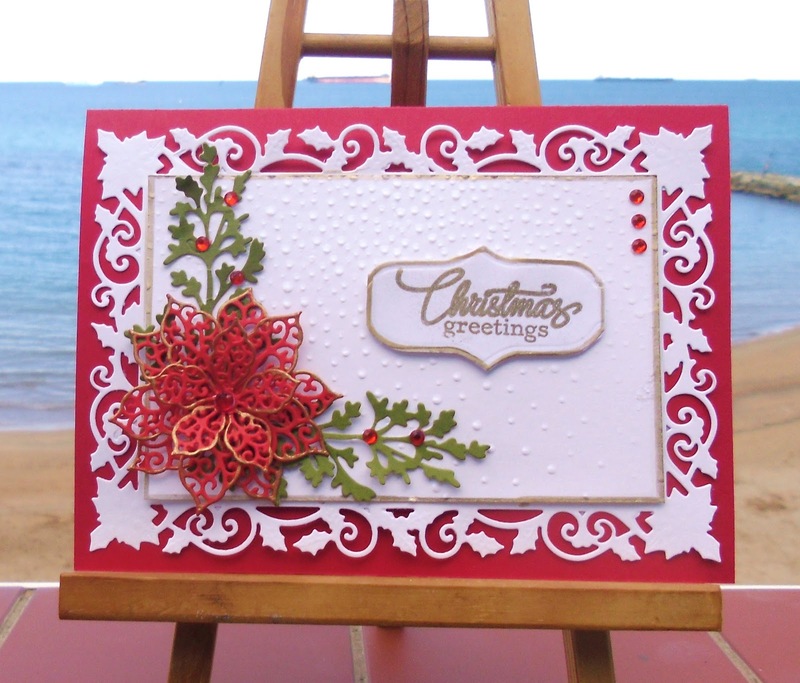 The filigree poinsettia looks lovely on your card. Just perfect for Carol's challenge. Hugs Mrs A. A beautiful pointsettia on an elegant frame. A lovely Christmas card. This card is so elegant and lovely! I really like these Sue wilson Poinsettia dies. They are so intricate.